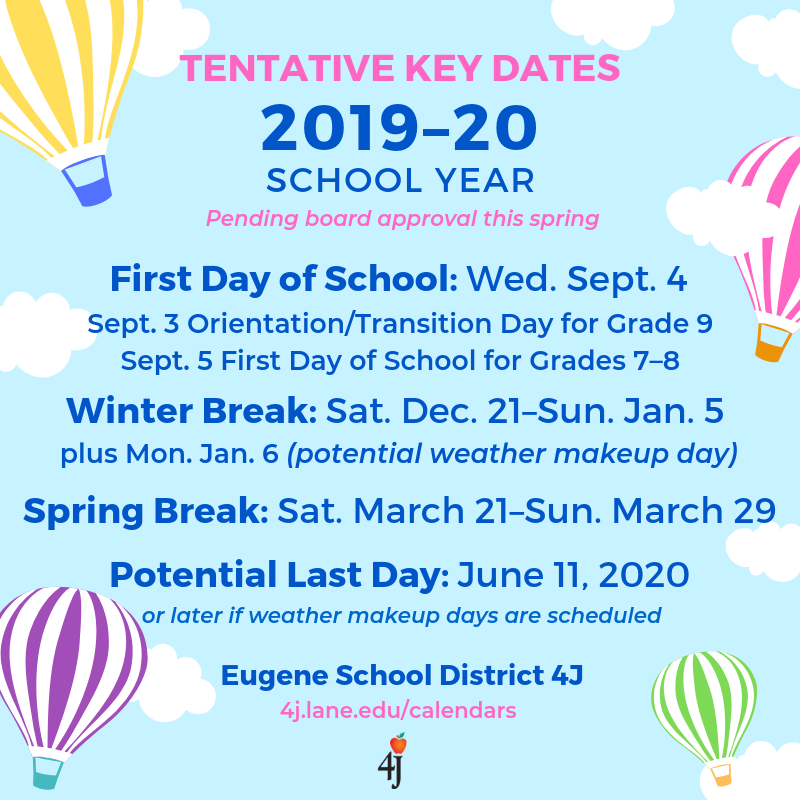 The academic calendar for the 2019–20 school year is pending approval by the Eugene School Board this spring. 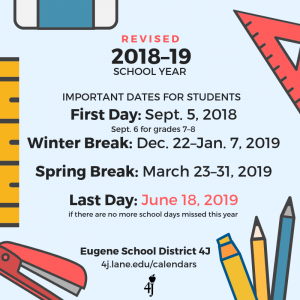 Eugene School District 4J’s academic calendars are approved by the Eugene School Board and published each spring for the following school year. 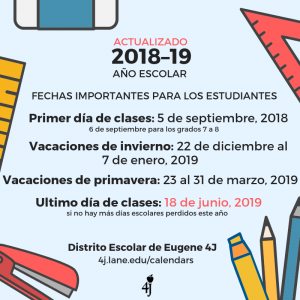 The school year in 4J traditionally begins in September, on the Wednesday after Labor Day, and ends in mid-June. The first day of classes in the 2018–19 school year will be Wednesday, September 5, except grades 7–8 will start on Thursday, September 6. There is an orientation and transition day for students in grade 9 on Tuesday, September 4. *Snow Days: Please be aware that the final school day may change. If any school days are missed due to hazardous weather (“snow days”), they will be made up on Presidents Day or on days added at the end of the school year.